Dare to win! It’s time for your victorious finish! This is not just another rowing event. A break of 10 years was enough to understand that rowing traditions in Lithuania are not only treasured but getting stronger. That is why this summer we openly invite all the Rowing Masters to “Rowing Masters Sprint”! 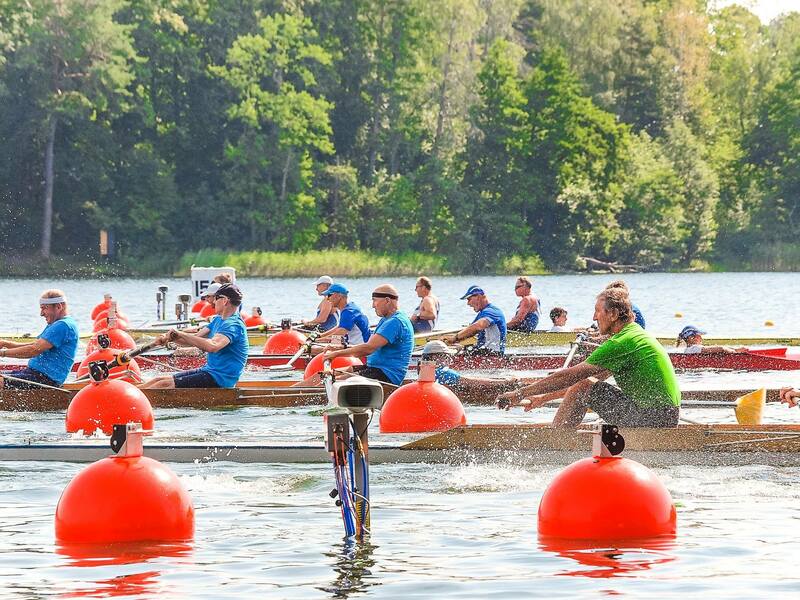 All you have to do is register and join the unique 500 meters sprint in Trakai, Lithuania! The Venue and the rowing course is absolutely amazing. It’s ranked as one of TOP 5 most stunning rowing courses in the world. Prepare for an amazing 8 lane rowing course with head races every 4-5 min. Your victorious finish will be just in front of the Trakai castle. It’s beautiful, it’s breathtaking! The regatta will be held following FISA rules for races. Every race awarded! Get ready – medals are awarded to the three prize-winning places of each race! It’s an exceptional opportunity to win! Masters Party! Yes, it’s time for Masters’ reunion! We will gather everyone together to celebrate in Medieval Trakai castle!